Food and symptoms journal – it’s easier than you think! I know what you are thinking. Is it worth the effort? YES! From years of experience as an IBS dietitian, keeping a food and symptoms journal is one of the best things you can do to identify your food triggers with IBS. It also helps tremendously with eating mindfully. If you are trying to trim a few pounds or not gain weight, it can help with that too (Burke, 2011). Keeping a food journal is not as hard as you think and you don’t have to do it forever. Our memory is disappointingly inaccurate. I don’t remember what I ate for lunch yesterday, do you? Keeping a food journal is extremely important with IBS because reactions to foods can happen up to 24 hours later. Reaction can be caused by a combination of foods eaten at the same meal or throughout the day. The journal also allows other health care providers like doctors and dietitians (like me) help you (Saha, 2014). It’s no new news to you that digestive symptoms are caused by many factors. Reactions can be caused by stress and anxiety. The ups and downs of life can have a huge impact on your digestive system by either speeding it up or slowing it down. Without recording your feelings and symptoms, you may not notice where stress is a factor. My Symptoms app – With the free version, you can record everything you eat and drink as well as your symptoms. 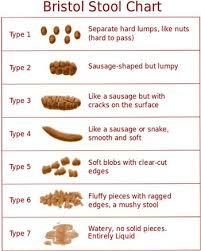 It includes the Bristol stool chart too. You can export it as a pdf to your health care provider. My Fitness Pal – My Fitness Pal is very user friendly for recording food and physical activity. With regards to your symptoms, you can record those in the notes section for each day. I can view your diary through my account at anytime. Google spreadsheet – With a Google spreadsheet is not an app, but it is a handy way to record your food and symptoms on your phone. Once you give me access, I can view your journal and add my dietitian comments. My favourite journals to review are the paper journals. 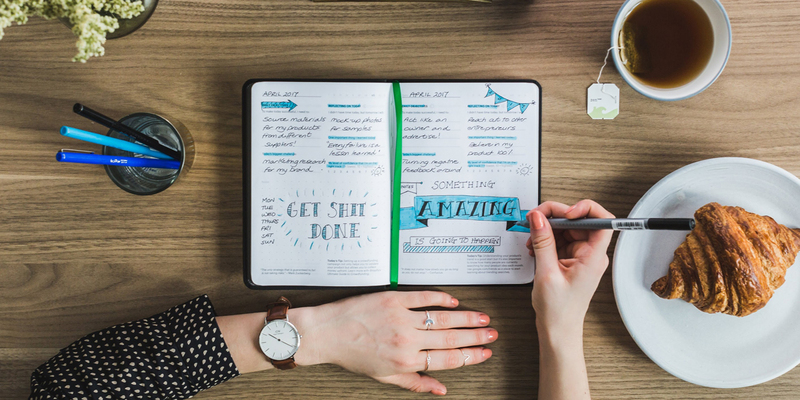 Pen and paper journaling is conducive to special notes like “had a stressful day,” or “ate mindfully today.” It is simple and convenient but you do need to carry it with you throughout the day. Some of my clients will have two journals, one at home and one at work. If you prefer, here is my IBS Nutrition Template. Before your appointment, take a photo of each page and email it to me. Pick a journal that inspires you. This will give you an idea of what to keep track of. Meet the Bristol Stool Chart. Right away. The longer you wait, the more likely you are to forget or record the wrong amount. Don’t get hung up on being perfect. Perfection is often what holds people back. I’m commonly told, “I’ll start on Monday at the beginning of a new week.” Why Monday? Let go of thinking that you need to be perfect. Just start now. If you forget to record a meal, keep going. If you don’t record for a day or a weekend, that’s ok. Don’t let that stop you from picking up the journal again. If you find yourself saying, I’ll start again tomorrow. Just pick up your journal and don’t wait for a new day. Let go of the meals you didn’t record and keep going. Recording half a day is better than none at all. How long do I need to journal for? If you are working with me or another FODMAP dietitian, it is helpful to keep your journal going for the first few weeks. However, after you have worked through all of the stages of the low FODMAP diet, and your symptoms are stable, you can put the journal down. Recording in your journal may take 2-3 minutes several times throughout the day. It may be slower at first, but you will get faster. It is more efficient and accurate to keep your journal with you throughout the day. Keeping a food journal does require extra time and effort throughout your day, but it is very worth your while and you don’t have to do it forever! 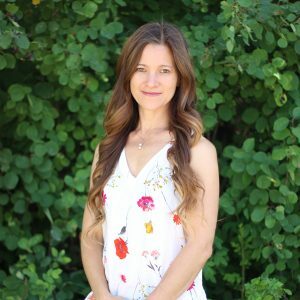 If you would like help with the low FODMAP diet, I offer one on one nutrition counselling by video and phone across Canada. You don’t have to go through this alone. Burke, L.E., J. Wang, and M. Sevick. Self-monitoring in weight loss: a systematic review of the literature. Journal of the American Dietetic Association. 2011; 111(1):92-102. O’keeffe, M. and M. C. E. Lomer. Who should deliver the low FODMAP diet and what education methods are optimal: a review. Journal of Gastrenterology and Hepatology, 2017; 32 (Suppl. 1):23-26. Saha, L. Irritable bowel syndrome: Pathogenesis, diagnosis, treatment and evidence-based medicine. World Journal of Gastroenterology. 2014′ 20(22)”6759-6773.